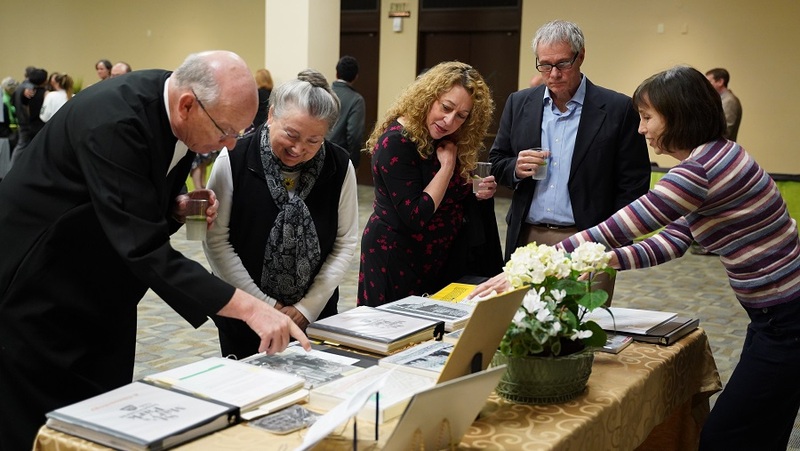 The District of San Francisco New Orleans (SFNO) recently held a celebration to observe the 150th anniversary of the De La Salle Christian Brothers’ arrival in San Francisco, California. The event took place on March 16 in San Francisco. 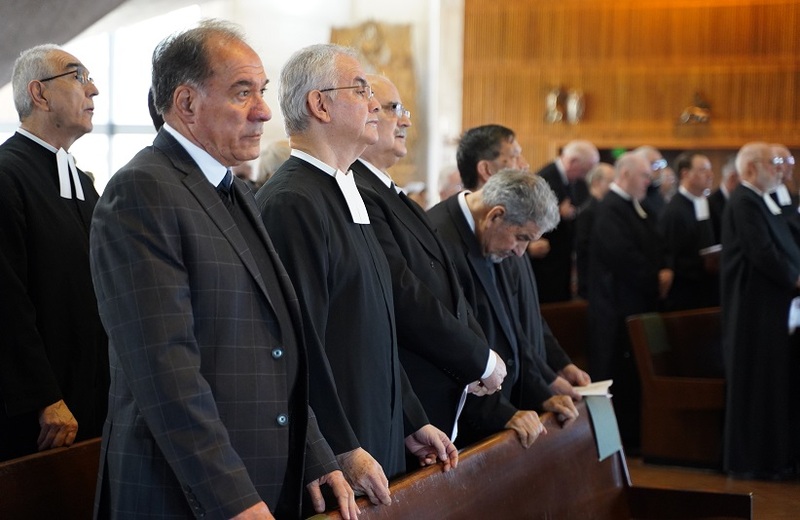 A large contingent of SFNO Brothers and Partners gathered under the theme, “Procuring God’s Glory from Generation to Generation,” to recognize the history of the Brothers in California and to celebrate the life of the Brothers and their mission with their Partners in the District today. Event planning and direction were led by Brother James Joost, FSC, Auxiliary Visitor, who was assisted by District Secretary Denise Mancuso. In 1856, San Francisco Archbishop Joseph Alemany asked the Brothers to staff his new Saint Mary’s College in San Francisco. It would be 12 years before the Brothers would be able to accept his invitation, but on August 10, 1868, eight Brothers sailed into San Francisco Bay and then made the five-mile trip to Saint Mary’s College, where they accepted the keys and the responsibility for the school. It was the beginning of the Brothers’ presence in the west, and of the then-District of San Francisco. The day’s festivities began with Mass at Cathedral of Saint Mary of the Assumption. Students from Sacred Heart Cathedral Preparatory acted as greeters and ushers, while Brothers and Partners from Saint Mary’s College and students from De Marillac Academy and Saint Mary’s College High School led the liturgical music. Brothers and Partners served as lectors and gift-bearers. 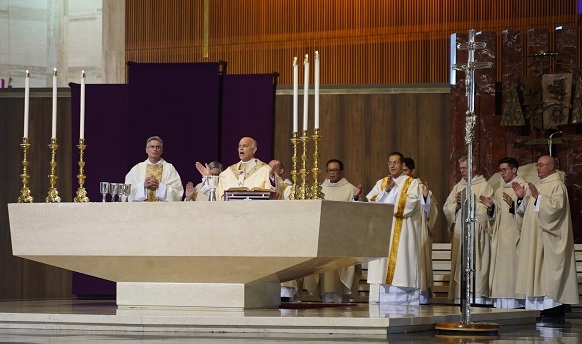 The principal celebrant was San Francisco Archbishop Salvatore Cordileone, who was joined by a number of brother priests and deacons who are Lasallian alumni or who currently minister in Lasallian schools. At both the beginning and the end of Mass, Archbishop Cordileone congratulated and thanked the Brothers for their presence in the Archdiocese and their many years of service. At the Mass, concelebrant and homilist Bishop Thomas Daly of the Diocese of Spokane drew from his personal experience and knowledge as an alumnus of Sacred Heart Cathedral Preparatory (then Sacred Heart High School) in San Francisco to recount the Brothers’ history and to pay tribute to them and their educational leadership. Mass was followed by a public reception at the Cathedral. Several generations of Brothers and Partners socialized, some reconnecting after years since last seeing one another. The crowd also took in displays of historical memorabilia chronicling the District’s Bay Area schools and Brothers’ communities. 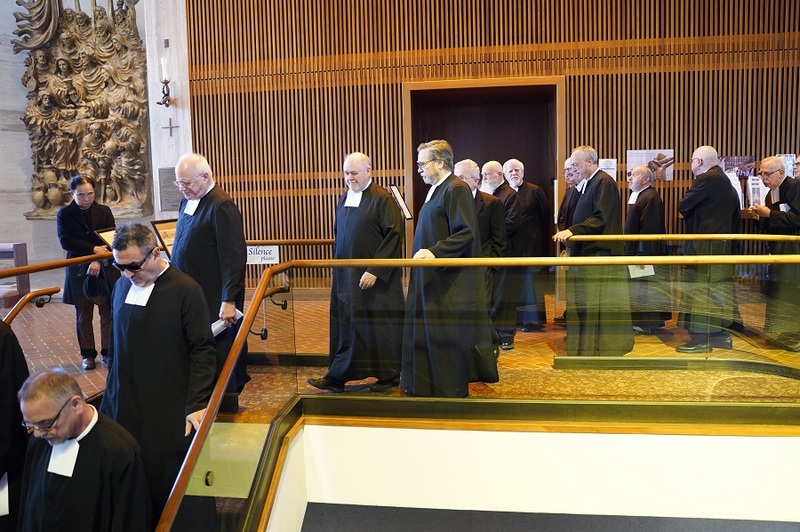 Later, the Brothers and their guests made their way across Ellis Street to Sacred Heart Cathedral Prep and a luncheon honoring some of SFNO’s Brother Jubilarians for this year. Brother James emceed, with Brothers Michael Avila, David Sinitiere, Joseph Fabiano, and Mark Murphy offering congratulatory toasts. The 2018-19 Brother Jubilarians include Brother Dat Hoang (25 years); Brothers Glenn Bolton and Bosco Truong (50 years); Brothers Melvin Pelton, Terrence Richmeier, and Ronald Roggenback (60 years); and Brothers Thomas Canty, Thomas Daigle, John Fairfax, James Grahmann, and Martin Swonke (75 years). The San Francisco event was the second of two 2018-19 anniversary observances by the SFNO District. 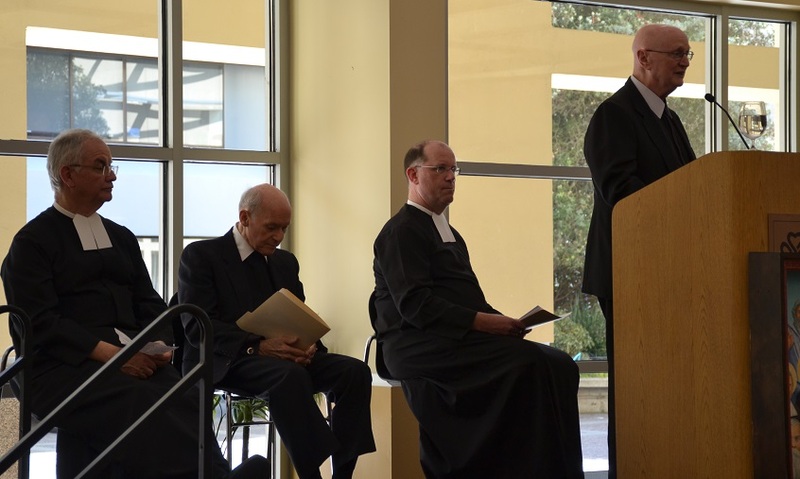 In July, 2018, a District commemoration in New Orleans marked the 100th anniversary of the Christian Brothers’ continuous presence in Louisiana. This year, the entire Institute celebrates #300LaSalle, the Lasallian Jubilee Year and tercentenary of the completion of the earthly journey of Saint John Baptist de La Salle, Founder of the Brothers of the Christian Schools and Patron Saint of Teachers of Youth.